LOS ANGELES — After being eliminated from playoff contention, there has been plenty of discussion about how the Los Angeles Lakers should use LeBron James for the rest of the season. Kings coach Dave Joerger has kept Bagley almost exclusively at forward in his rookie season to allow him to ease into his new environment. But Bagley has the size and length to play at centre and defend that position, something he is starting to do more in the final games. Bagley's growing versatility was evident against the Lakers, even getting to take on James at both ends of the court. 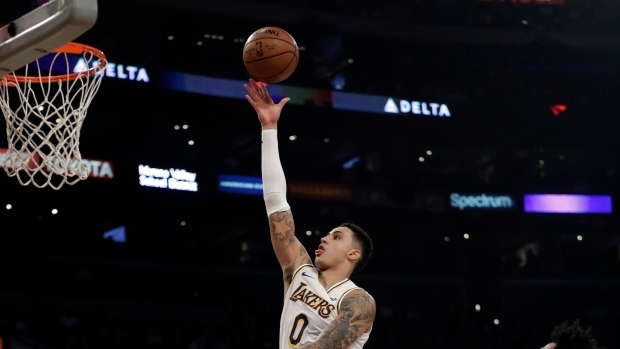 James credited McGee for keeping the Lakers defence organized in the second half, limiting the Kings to 38.9 per cent shooting and making 12 of 25 shots inside the paint. McGee was calling out screens and rotating when necessary to change the trajectories of shots, James said. The veteran centre finished with five blocks.